An international city with lots of culture. Startups alongside traditional institutions. An education in English. Great student benefits regardless of nationality. Is Berlin the next great destination for higher education? Dipa: What are your favourite things about living in Berlin? Sonya: The public transport. You can it get everywhere, whenever. And so far it’s efficient. There’s a train every five minutes during the day and one every ten minutes at night. They also have really good student benefits – huge discounts for a lot of things, even your travel ticket is heavily subsidised. I like the opera, the ballet and the orchestras. They have a few opera houses here and I went to see Sleeping Beauty last week. It was beautiful and only ten euros because of the student discount. Otherwise it would have been 50-70 euros. In Australia, international students pay full fee for everything. But here they don’t discriminate between local and foreign students. Sonya at U-Bahnhof Train Station on Halloween. Image courtesy of Sonya. Dipa: First impressions of Germany? Sonya: If you compare it to New York, it’s not glitzy and exciting from the outside. Some people even find it gloomy. Maybe it’s the weather as well. You need to live here and then you can get into things. It’s not really a place where you want to spend two nights, unless you really know what to do. There’s a lot of cultural stuff here that I haven’t had the chance to immerse myself it. It’s an international city and you can get around with just English. But if you can speak German, it opens up a whole new world. Most of the international students here are from North and South America. 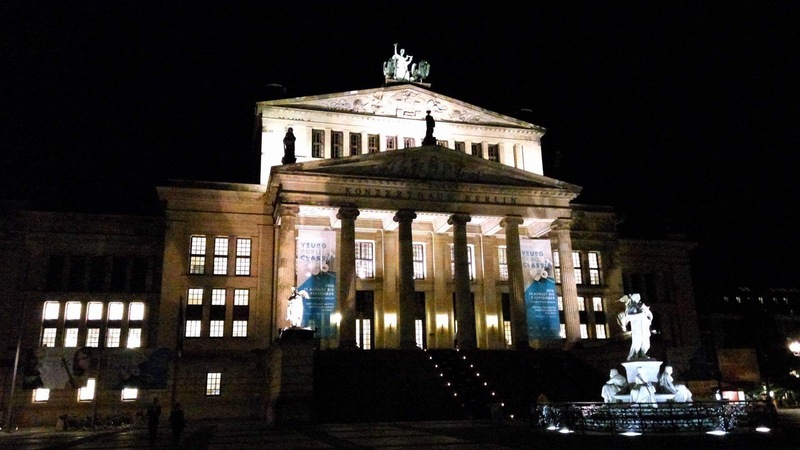 The iconic Konzerthaus: a concert hall situated on the Gendarmenmarkt Square. Image courtesy of Sonya. Dipa: How’s the quality of education? Sonya: I’m studying public policy at Hertie School of Governance. It’s a private school. I am learning a lot. The workload is a lot more than I expected. I’ve asked people who did undergrad here – and they said that yea, this school has a big workload. But it’s manageable. Dipa: What are some of the challenges you’ve faced? Sonya: I’d never been to Germany before this. I thought a lot of things would be more efficient, but they’re not. I come from a developing country. I thought they do it better in Europe, but it’s not as great as I created it in my head. I expected a lot more. There’re a lot of contrasts – the digital startup scene is huge and quite vibrant here. At the same time, they’ve got institutions like the banks that are so old school. Visas and banks – you just have to line up. You can’t do it online. Looking for a house here is very difficult. The population is growing, but there isn’t enough infrastructure. Without an address, you can’t get a bank account and do all this visa stuff. It’s really annoying. Some of the stuff is in German, only. Student services at the school is really helpful because they cater to international students. So they’re really nice. The Hertie School of Governance. Image courtesy of Zugz Wang.